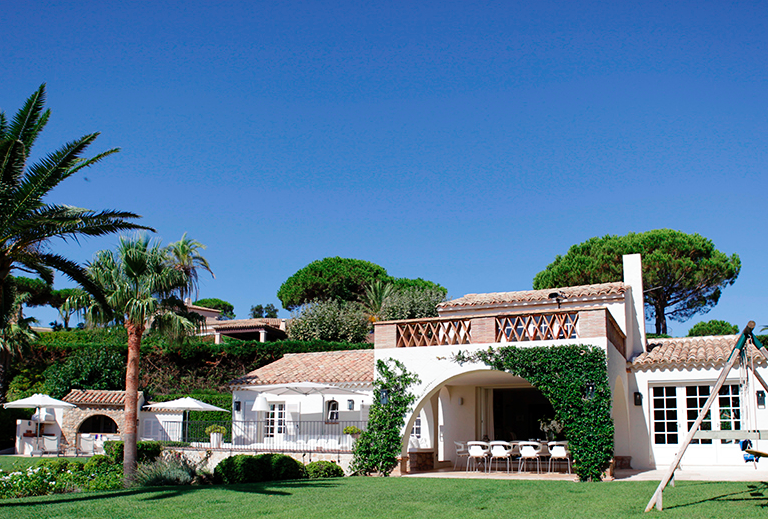 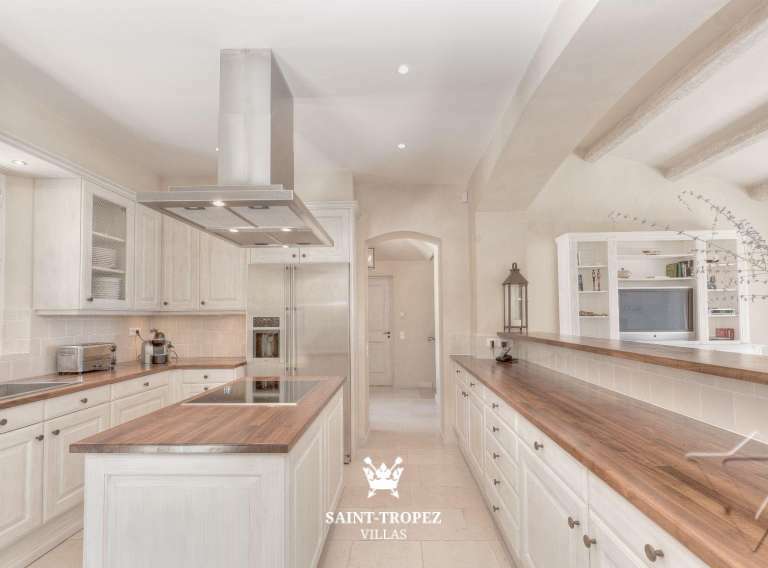 Villa Andrea is a Stunning villa just minutes from Saint-Tropez’s nightlife and the beaches. 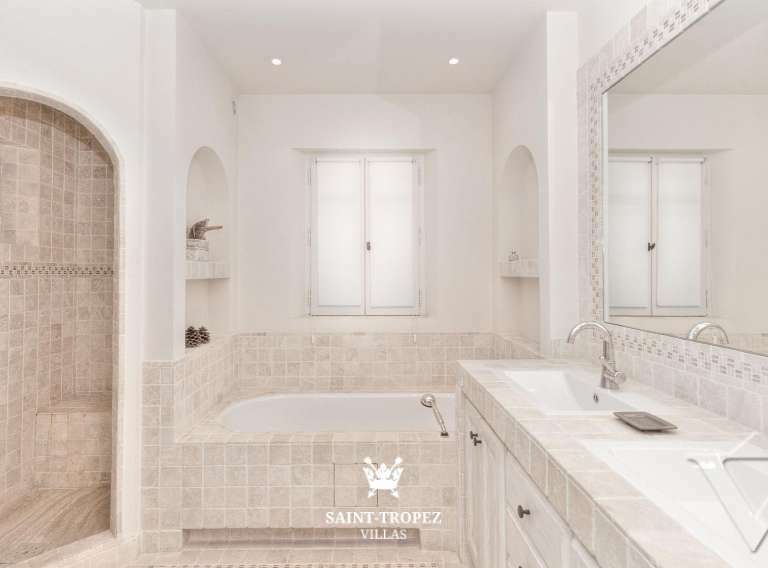 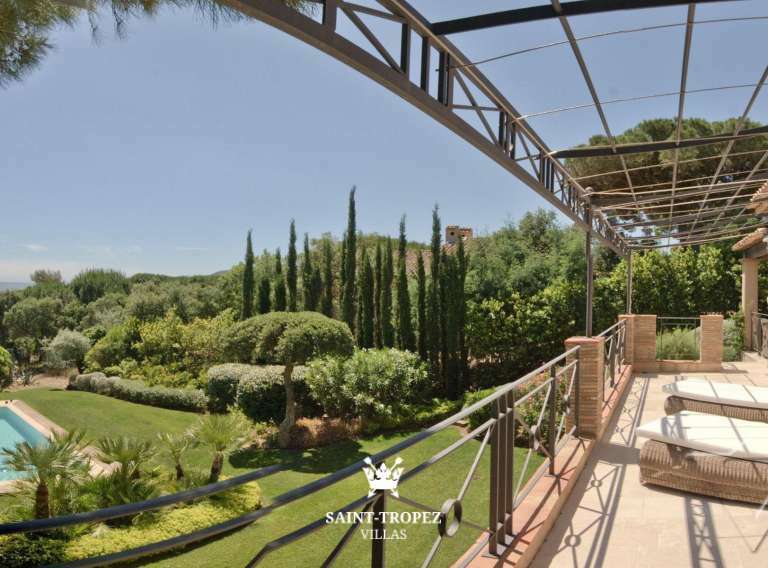 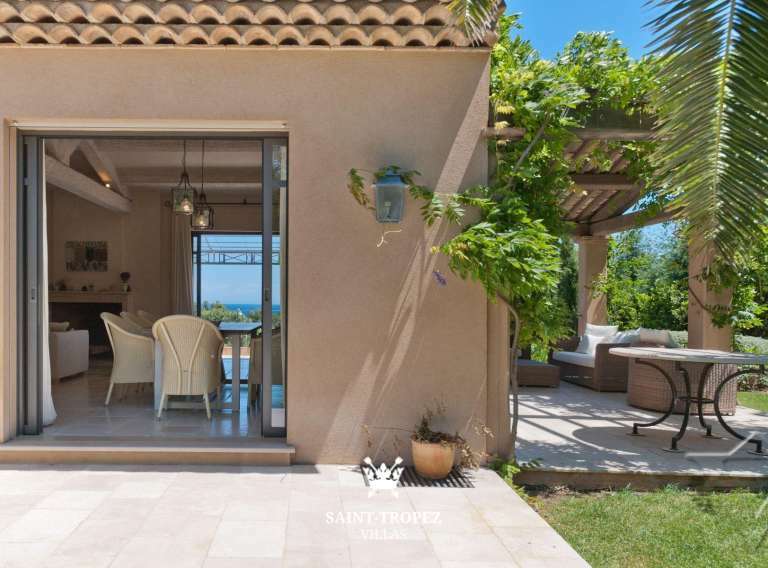 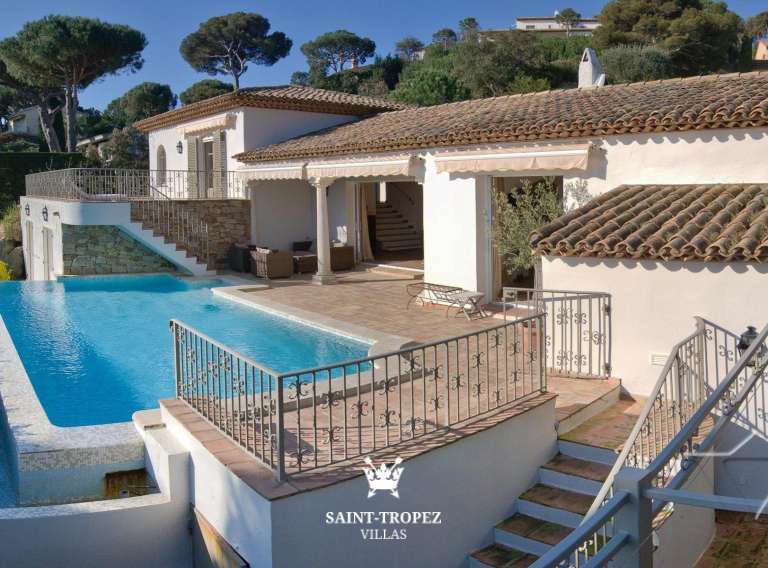 The view, ambience, and charm of Villa Andrea offer an exceptional vacation experience in Saint-Tropez. 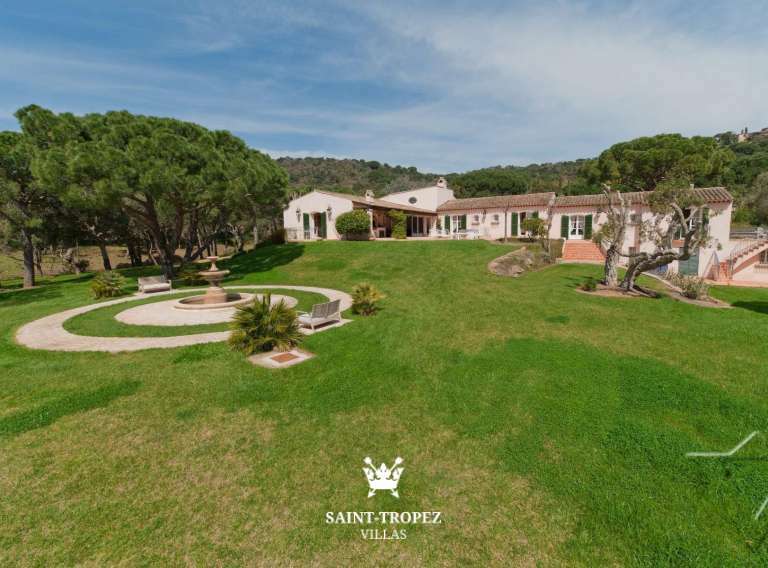 This traditional 4-bedroom, 5-bathroom villa is nestled on the top of a hill overlooking the sea, with a line of lush, private woods framing the peaceful view of the Mediterranean. 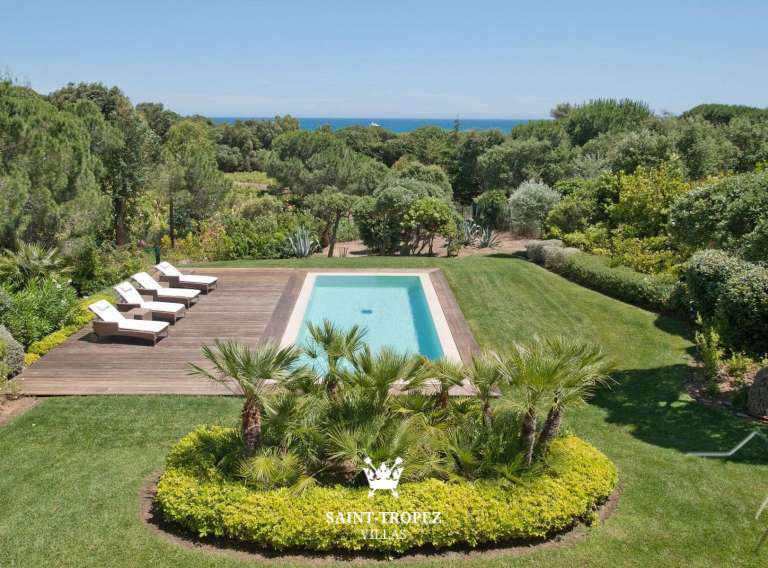 A thick lawn, manicured garden, and sunny terraces surround a pristine pool that invites day after day of sleepy, sunny days in the sun. 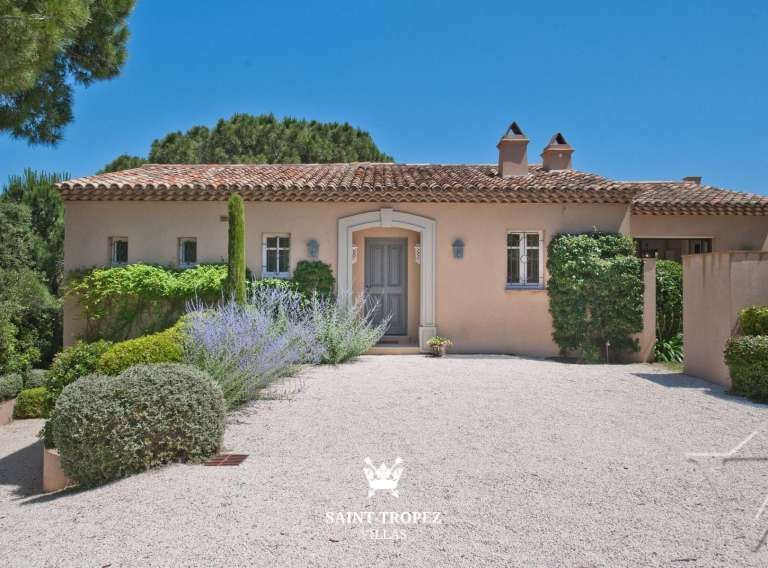 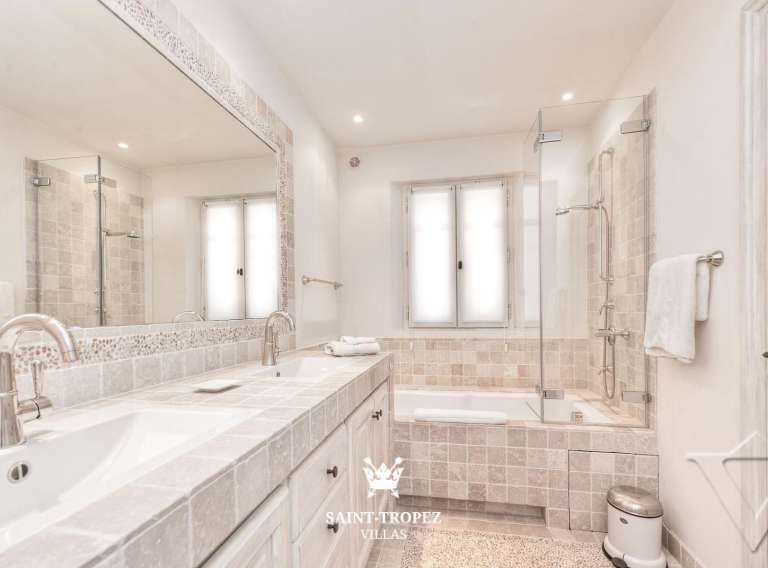 And with downtown Saint-Tropez only minutes away, relaxing days can quickly turn into fast-paced nights! 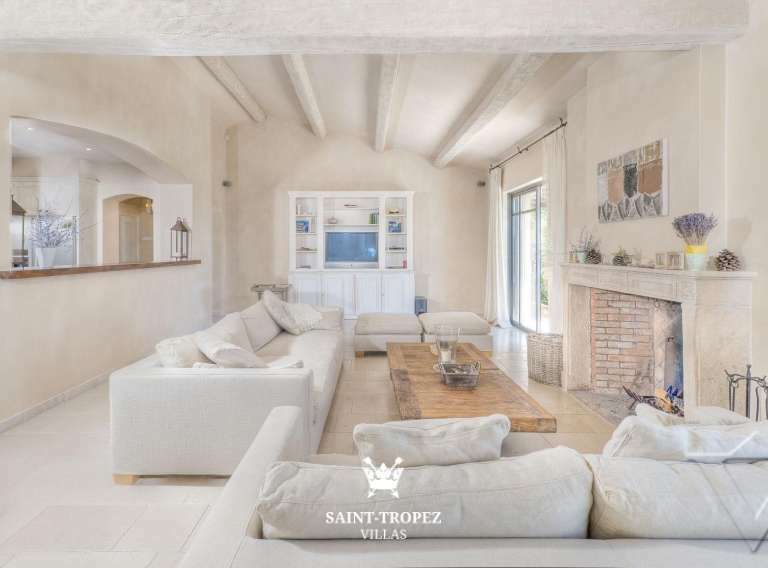 Villa Andrea’s interior is both rustic and airy, with bright, modern accents and furniture, as well as an open floor plan that transitions from room to room fluidly, together with the villa’s outdoor living and dining areas. 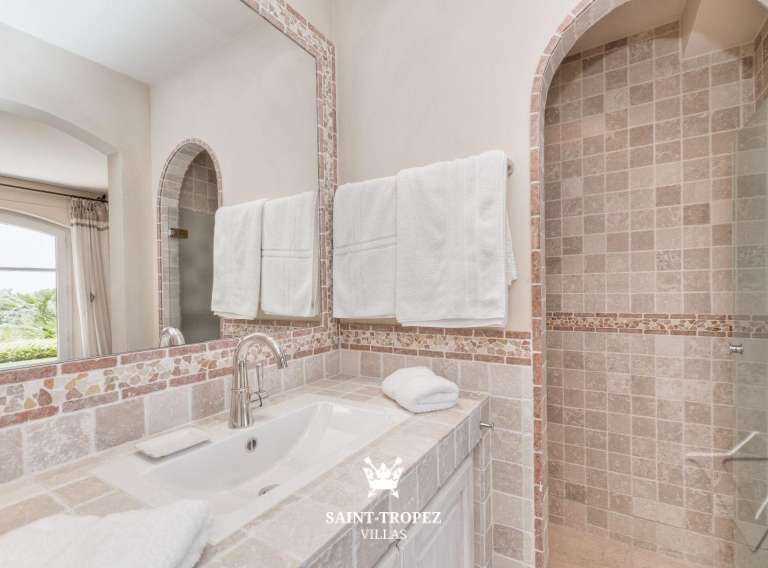 The gourmet kitchen offers top-notch amenities, while the spacious bedrooms and spa-inspired bathrooms give guests the ultimate place to retreat and relax.